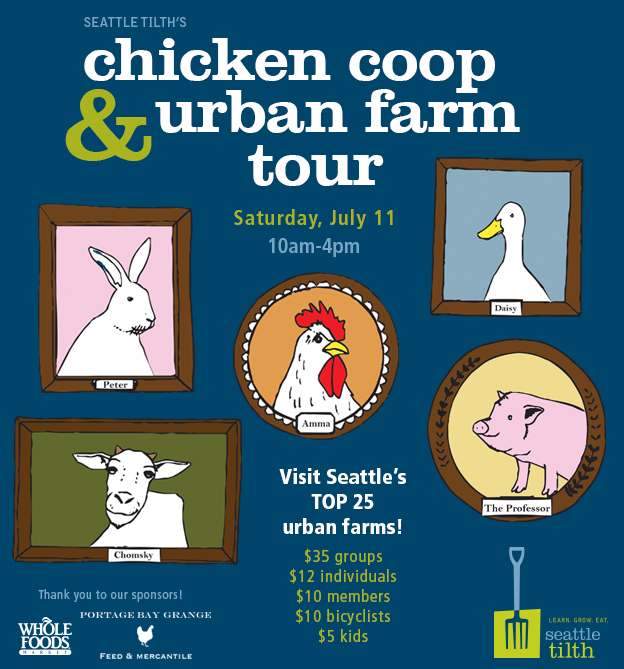 “Rake and Make Ranch” (as I so dubbed it in this year’s application) was accepted to Seattle Tilth’s Chicken Coop and Urban Farm Tour, listing it as one of Seattle’s top 25 urban farms! I’ve been a host before in 2010 and 2012, but I’m especially excited about this year, as Matt and I have been working really hard on our coop and garden lately. The coop got a new fence, paint job and concrete pad and Matt built a new hops trellis, so everything is looking tip top. If you are in the Seattle area and have been wanting to see our urban farm in real life, now is your chance! I can personally attest that Rake and Make Ranch is a super cool place to be! Wow, that is so cool! Congrats Lilly!